MIAMI, March 28, 2012 - In a trial that took place in Marianna, FL and lasted more than three weeks, Plaintiff Emmon Smith, a Florida resident was awarded $10 Million in compensatory damages (70% against R.J. Reynolds) and $20 Million in punitive damages in a landmark decision by a Jackson County Court. Mr. Smith was represented by the firms of Richard J. Diaz, PA, Ratzan Law Group, PA, J.B. Harris, PA, Crabtree & Associates, and Robert Trammell, PA.
Emmon Smith, a Marianna minister started smoking at age 13 in 1944. He tried numerous times to quit but was unsuccessful until 1992 when he was diagnosed with lung cancer, had his left lung removed and was advised by his doctors that smoking had caused his disease. Mr. Smith filed the lawsuit in 2009 as an Engle progeny case named for a disbanded statewide class action named after a Miami Beach pediatrician who was the lead plaintiff in the class action 2007 lawsuit filed in Miami-Dade Circuit Court. He filed the lawsuit on the grounds that he was addicted and diagnosed with a smoking-related disease. Tobacco companies have known since 1953 of a causal relationship between smoking and lung disease but did not acknowledge a connection until 2000. The jury, in deciding compensatory damages, decided that Mr. Smith was addicted and R. J. Reynolds was negligent. Mr. Smith was assigned 30 percent of the fault, leaving R. J. Reynolds liable for $7 million of a $10 million award for compensatory damages. In a second phase dealing with punitive damages, the jury awarded him $20 million for a total award of $27 million. The plaintiff trial team was led by criminal defense attorney Rick Diaz, in his first tobacco trial. Joining him were J.B. Harris, Robert Trammell, Don Fitzgerald from Crabtree & Associates, Carlos Santisteban Jr., associate Daryl Bloomberg and paralegal Janine Montes, both from Ratzan Law Group. R.J. Reynolds was represented by Jones Day. Richard J. Diaz, PA is a law firm in Coral Gables, Florida focusing on the federal practice of criminal defense. For additional information call (305) 444-7181 or email liz@rjdpa.com. corporations. The firm focuses its practice on medical malpractice, product liability and commercial trials. 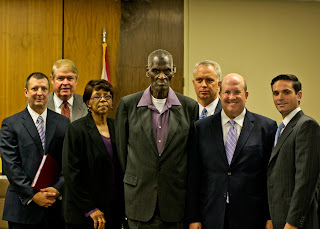 For additional information, call (305) 374-6366 or log on to www.ratzanlawgroup.com. J.B. Harris, PA is a law firm in Miami, Florida focusing on personal injury and commercial litigation. For additional information call (786) 303-8333 or email jbharrisesq@hotmail.com. Crabtree & Associates is a law firm in Key Biscayne, Florida focusing on appellate work and class action litigation. For additional information call (305) 361-3770 or email info@crabtreelaw.com. Robert D. Trammell, Esq. 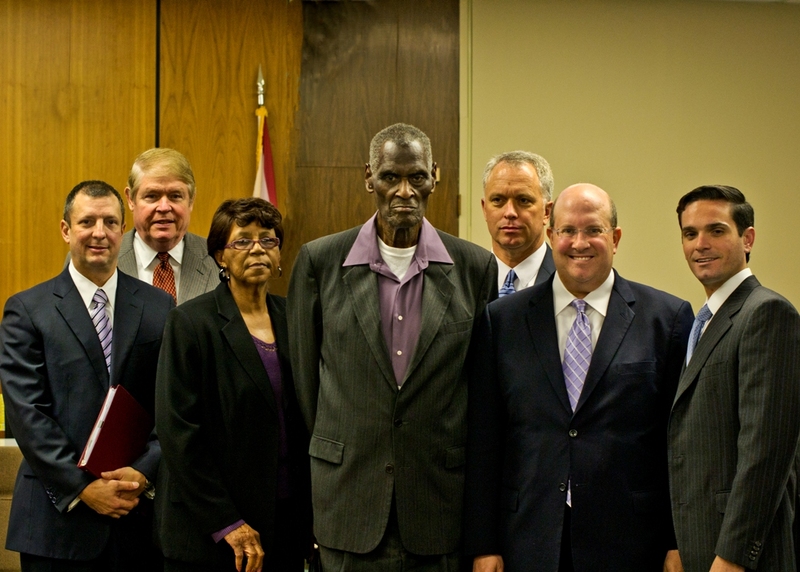 practices law in Tallahassee and Marianna, Florida with the Saunders Law Firm. For additional information call (850) 510-2187 or email trammellrobert@rocketmail.com.